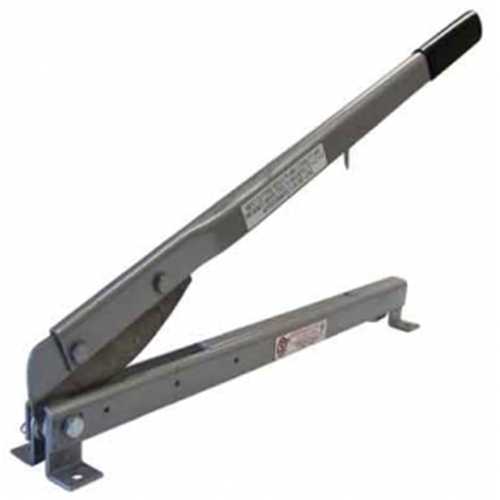 This very popular and affordable, pressed steel tool is especially adept at cutting smaller pieces to be fitted around chimney or valley of roof. The tough, heat treated blade (351445) is removable and can be reordered as can the punch(351442). The variable pitch of the curved blade gives excellent "bite" on the toughest slate varieties up to 3/8" thick. For greater stability, two pieces of angle iron can be fitted to the bottom section by means of predrilled screw holes, at the option of user.